Whether a hiking fanatic, Colorado resident, or both, you’re going to love this. Among many amazing things to do in Colorado, hiking beats most. There’s nothing like going out into the wild wilderness and letting go from society. Hiking allows you to clear your mind and completely embrace the true beauty of nature. Time and time again, locals say “flatlanders” or out of state tourists, come to Colorado and think hiking will be a breeze. Although hiking is unbelievably amazing beyond belief, it can be your worst nightmare without the proper preparation. Beneath are some key tips on how to prepare for a flabbergasting Colorado hike. 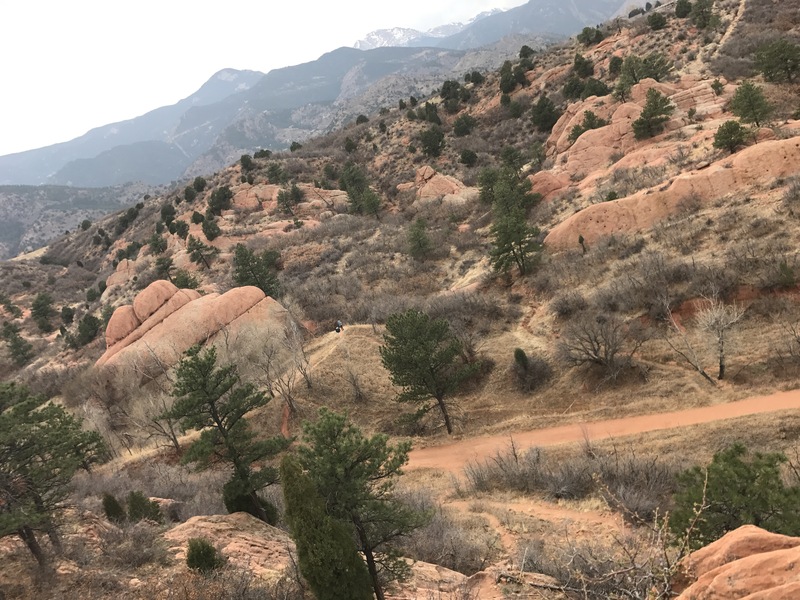 -Colorado is a huge place, and without prior knowledge of the location you plan to hike, or some sort of directional tools, you could find yourself in a fluster of a situation in a hurry. While trying to enjoy yourself in the Big Colorado, the last thing you want to be is lost. If you have no prior knowledge of the area you aspire to hike, research it before going. Especially in today’s age, many of us rely on our smartphones. When it comes to hiking, especially in Colorado, phones can be useless. With wide valleys and mountain ranges, Colorado connection tends to be poor. Relying on a device for knowledge and direction won’t always work, so prior knowledge of the area and a compass can be major factors towards a positive experience. -When hiking, we can all agree that it’s important to avoid injury. In order to so, a first aid kit is a great start. The wilderness is a wild place, and without having a band aid or disinfectant wipe, things can go south quick. Mistakes happen and people hurt themselves everyday, especially hiking. Having a first aid kit handy allows you to be prepared for the worst, while hoping for the best. -Staying hydrated is always of value, but during an aggressive hike, water is truly key. Dry air is more than prevalent in Colorado, and with the high altitudes, becoming dehydrated is not only possible, but likely as well. Symptoms of dehydration include tiredness, dry mouth, headache, dizziness, and more. Drinking water before, during, and after your exploration is important if you want to avoid cramping. With peaks of warmth in the summer, especially during July, temperatures reach extremely energy bearing heights. Hydration is key, so always remember your liquids. -With how rugged the terrain gets in Colorado, it’s more than important to have comfortable hiking shoes. Trails and different areas can range include all types of terrain such as slippery slopes, steep cliffs, tree roots, loose gravel, and many more. This does not necessarily mean you need to get a new set of hikers. This simply means show up in something comfortable and durable, you won’t regret it. Nothing ruins a hike more than getting halfway through and realizing your feet hurt and that the rest of the trip is going to be uncomfortable. As mentioned before, the terrain in Colorado can get ugly, so shoes that cover your ankles and toes are highly recommended. Shoes that are durable and have a complete sole are perfect for foot support and quickness. Nobody wants to roll an ankle, and your shoes may not always be able to prevent that. Point being, always be cautious, and watch your step! -Although making sure you are completely prepared is vital to your hike, enjoying the actual experience is the real value. When hiking, it’s always a great idea to hope for the best, but prepare for the worst. Once you’re done preparing for the worst, while still hoping for the best, take a second to look around. Drop your bags and the walking stick, embrace your surroundings with a mighty deep breath, exhaling your worries into the wind. You only live once, and who knows, this may be the last and most beautiful thing you ever experience. Never hesitate to get out there and hike it out like its your last. I remember the first time I went hiking in Maine and was not prepared. I was so unprepared we ended up quitting early and getting lost. I know not to make those mistakes again. I would LOVE to go hiking in Colorado. Where is your favorite hiking spot in Colorado? Thank you so much Molly! Although I’ve been to Colorado three times, and I have SO much to see yet. From what I have seen, though, Garden of the Gods or Red Rock Canyon in Colorado Springs would likely be the best. Breckenridge is my favorite city in Colorado so far, but Garden of the Gods is seriously an unreal experience. A few of my friends have been to Breckenridge and loved it as well. However, Garden of the Gods is on my bucket list. One day I’ll make it out to Colorado. I also like how you revisited the “preparing for worst, but hoping for best…” message. Isn’t that the truth? Two solid thumbs up!